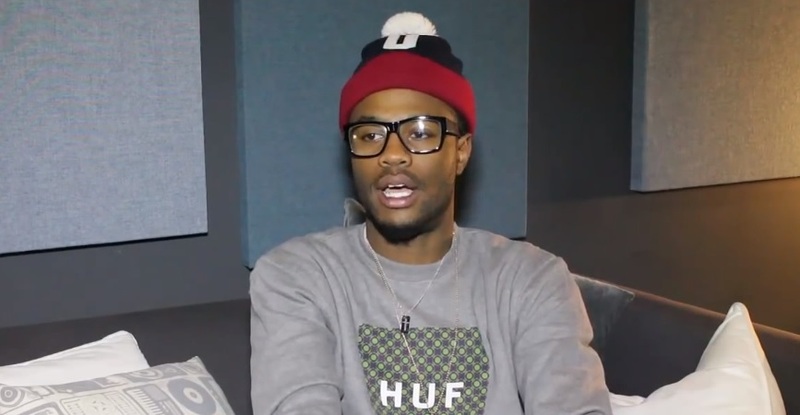 Casey Veggies links up with DJ Vlad for an exclusive interview on Vlad TV. The young rapper give viewers perspective on his friendship with Frank Ocean and admits he wasn’t surprised when the singer announced to the world he was gay. Veggies also clarified he respects Ocean’s decision and reassures viewers the two artists have unfinished songs together that he hopes to release one day. Frank Ocean and Chris Brown’s infamous beef serves as the topic of dicussion as Young Veggies does the politically correct thing and plays the neutral role. Before calling it a wrap, Veggies admits to the camera that he most likely would have to pass on a collaboration with an openly gay emcee if the opportunity ever presented itself. This entry was posted in Interview, Video and tagged casey veggies, dj vlad, Frank ocean, gay, hip hop, Interview, odd future, rap, Vlad TV. Bookmark the permalink.